A Must Have, I read a lot, reviewing titles, reading for class after class, but today I read a fantastic title. 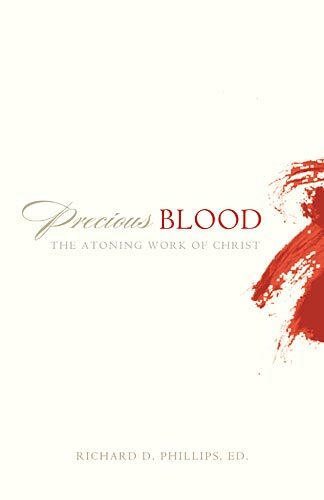 I received this week a title that is just Gospel-Centered & Christ-Centered as can be – Precious Blood: The Atoning Work of Christ. At the very heart of Christian faith is the blood of Jesus. His sin-atoning death is the divine work on which the entire structure of salvation rests and the truth on which the Christian doctrine of salvation must be built. Yet recent years have seen a pastoral neglect of the cross and a doctrinal assault from the academy. With these concerns in mind, R. C. Sproul, Philip Ryken, Joel Beeke, Derek Thomas, Carl Trueman, and Robert Godfrey have joined editor Richard Phillips in exploring the doctrine of Christ’s atonement. These noted pastors proclaim the (1) necessary, (2) redeeming, (3) cleansing, (4) atoning, (5) offensive, and (6) precious blood of our Savior in a series of essays that set the cross in its rightful place—at the forefront of salvation.